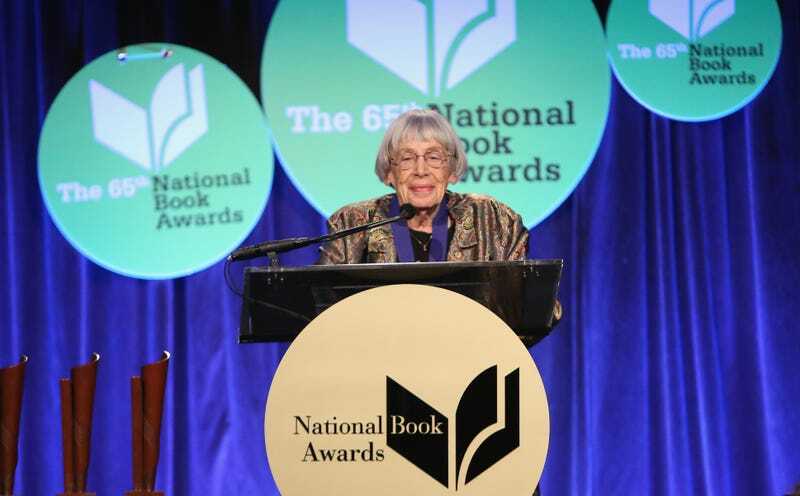 On Tuesday, the New York Times reported that Ursula K. Le Guin—author of dozens of books including The Left Hand of Darkness and the Earthsea series, and a literary hero in her own right—died at her home in Portland, Oregon at the age of 88. Her son, Theo Downes-Le Guin confirmed her passing, noting that her health had been poor for several months, though he didn’t identify the cause of death. Le Guin wrote prolifically and widely: more than 20 novels, a dozen poetry books, seven essay collections, 13 children’s books, five books in translation, and at least 100 short stories. Her books have been translated into more than 40 languages. I mean, holy hell, gaze upon how cool she was.